“All” things? As Pope Francis has said, “Tutti, tutti!” All people will be saved, even Muslims, even Hindus, even nonbelievers. But all “things”? Like dogs, cats, trees, forests, mountains and cities? Can that really be?! I know plenty of theologians who would argue against it, but I think I will take Paul’s side on this one. All things. Imagine if everyone and everything we met today was to be redeemed, taken up to heaven and glorified, part of the perfection of heaven. Would we see it differently? 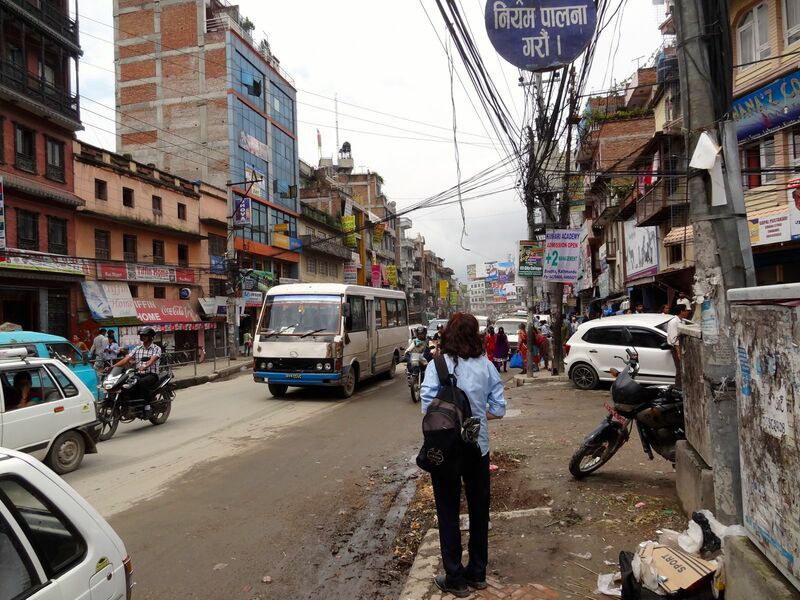 The photo above is a typical of the main streets around here, though before the real heavy traffic of the day hits. Will all this be redeemed—the mud, the dogs, the rats, the wires, the motorcycles, the vans, the taxi drivers, the shop owners, the beggars, the crowds and the buildings? That would truly be a God of Miracles.